+ Power - This is the positive power and logic pin for the Pixie. 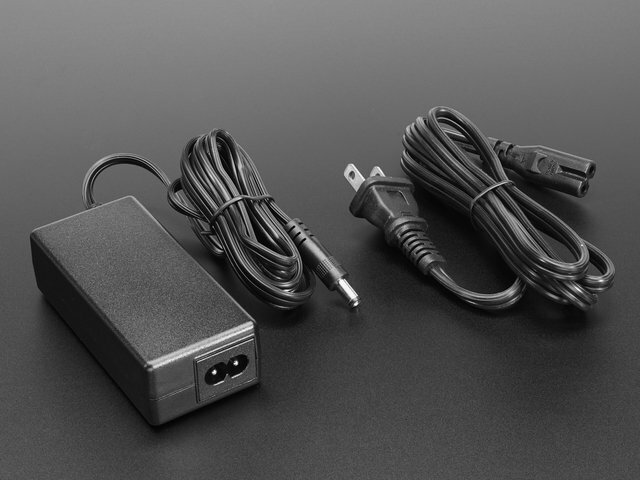 Power with 5VDC. 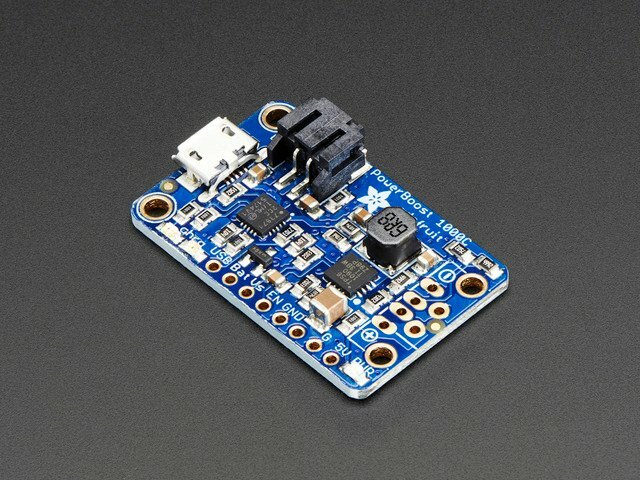 - Ground - This is the ground reference for power and logic pin for the Pixie. 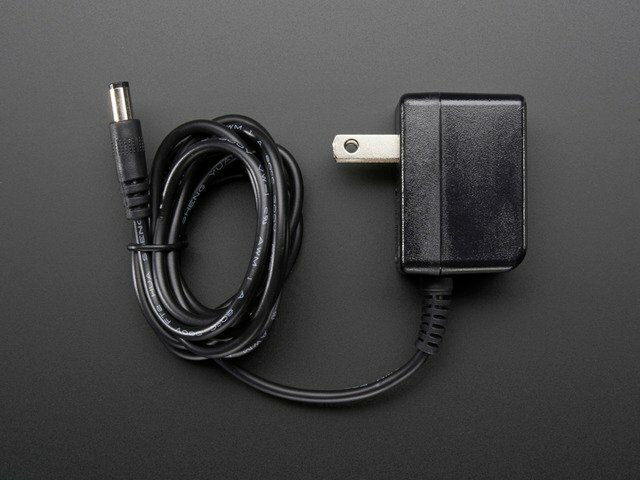 Connect to power ground on your power supply as well as the ground of your microcontroller. 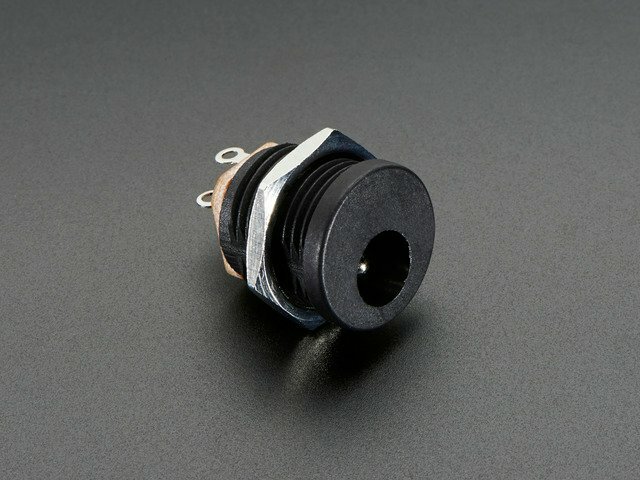 Both power pads have a 0.07" / 1.8mm diameter hole, so you can use very thick wires for connecting (16AWG is recommended). 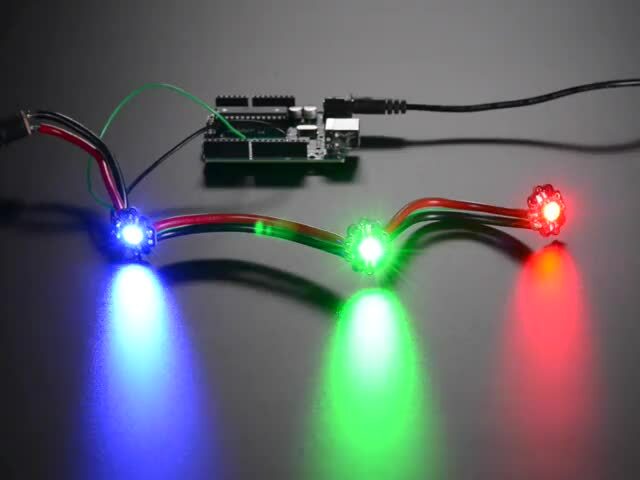 That's good because remember that you can draw up to 1A per Pixie when the LED is full white. You also have an in and out pin. Each are 5V logic in and out, and receive/transmit data at 115200 baud. All the pins are aligned to a 0.1" grid, so you can solder standard headers to them and use the Pixie on a breadboard or a perf-board. The mounting holes on both sides are sized to fit M2 hardware. This guide was first published on Oct 20, 2015. It was last updated on Oct 20, 2015. This page (Pinouts) was last updated on Apr 17, 2019.